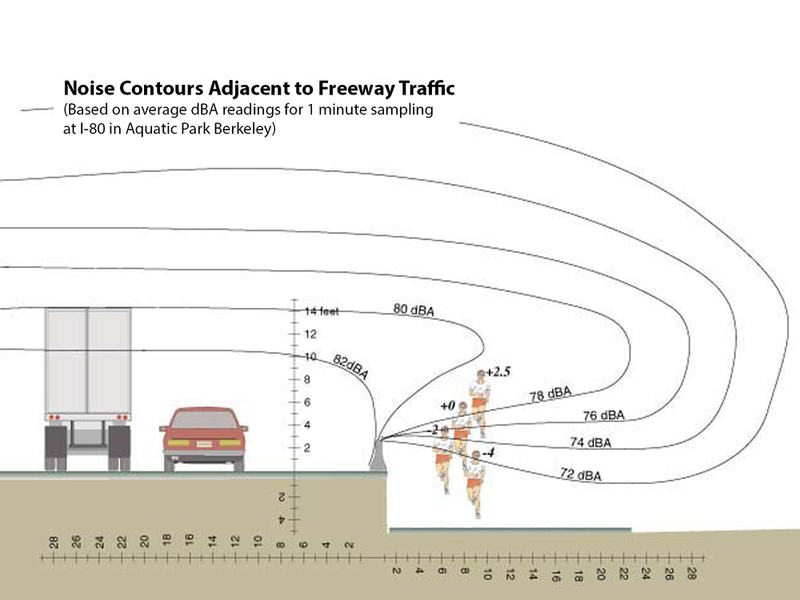 In May 1998 SGA was retained by the East Bay Bicycle Coalition, the Bike the Bridge Coalition, the San Francisco Bicycle Coalition, and the Bicycle Friendly Berkeley Coalition to prepare visual simulations of various pathway design options, to advise on aesthetic, safety, and structural feasibility issues, and to act as a neutral liaison with the Caltrans/MTC design team. To help determine the best pathway location and configuration, SGA assisted the Bridge Pathway Advocacy Coalition in assessing the relative importance of various impacts on pathway users, such as wind and noise. Below is a representation of one of several path configuration options SGA developed. As part of the Bay Bridge Bicycle/Pedestrian Advisory Committee, SGA was honored for its work on the Bay Bridge by a Metropolitan Transportation Commission Award of Merit on September 23rd, 1998. -View from pathway to both sides of bridge. -Slightly reduced noise levels compared to at-roadway level option. -Less headlight glare than at-roadway level option. -Pathway feels autonomous from traffic and dedicated to pedestrian use. -Traditional, proven geometric relationship between roadway and sidewalk. -Total visibility of pathway users by drivers means security issues associated with being out of a sight are eliminated, motivation for drivers to stop driving and start riding to work, a more boardwalk-like festive, human activated urban atmosphere. -Greater likelihood of harassment from drivers. -Greater obstruction of motorist view (railing design becomes critical). -Slightly more expensive than at-roadway level option.